Selecting and hiring church staff is one of the most crucial decisions a senior leader will ever make. Vanderbloemen Search Group has carved out a niche by specializing in corporate quality executive search for churches. Justin Lathrop founded and heads up HelpStaff.me, a search firm that has shown enormous abilities in searches for positions in the middle of a church org chart like childrens and student pastor searches. Recently, HelpStaff and the Vanderbloemen Search Group united. Their merger has broadened the capabilities of the Vanderbloemen Search Group so they are now able to help any church fill any position. I recently had a chance to visit with both William and Justin to get their thoughts on what they are seeing in church staffing. Here is our conversation. 1. Is there any particular big trend you are seeing in the way churches are being staffed? For instance, several of our clients are now employing a Pastor of Social Media. It’s a step up from simply having person who is good with social media to a person who has pastoral skill and is good online. This position often covers online campuses, like our friend Brandon at LIfeChurch.tv or Nils Smith at Community Bible Church in San Antonio. 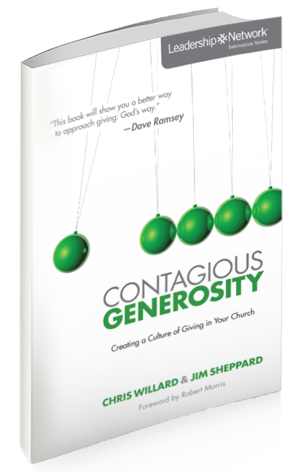 Another new staff position we are seeing is a Pastor of Generosity. This is pretty much a Chief Fundraising Officer that has pastoral skill. When Jud Wilhite and the folks at Central Christian asked us to find this position for them, it showed me a new reality: (1) lots of new believers are coming to growing churches, (2) new believers don’t usually give or tithe, (3) dollars are tight everywhere, and (4) the Senior Pastor cannot ask for money all the time. Smart churches are hiring folks to help close the gap, just like hospitals, charities, and universities have for years. I know you all have been our in front of your sector doing some key thinking about raising generosity and generous cultures. Seems like the idea is catching on. 2. The role of the strong Executive Pastor, a COO type of position, seems to be expanding. What do you see in that area? 3. What about multi-site? Any particular challenges there? Many Campus Pastor roles don’t involve weekly preaching so the perception is that communication isn’t important. This couldn’t be further from the truth. The ability to communicate is greater than ever before. Because of this perception, it is difficult for churches to get the right communicator that doesn’t view campus pastoring as a purely administrative role. The Campus Pastor is a role that is here to stay. As the number of campuses at churches mushroom, staffing the role is more difficult than ever. Bil Cornelius and I were visiting some time back about innovative ways to staff small campuses in small towns with superior leadership. A whole lot of new models are emerging in response to this crucial need. 4. Looks like there are a lot of Baby Boomer pastors leading mega churches. Are they thinking about succession? That’s a big looming issue, isn’t it? I think succession is THE looming issue in the Church. It’s also the most common search we lead now. The fact is, we are all interim pastors. And a whole lot of key churches are going to face pastoral retirement in the next 10 years. You know, retirement is only mentioned once in the Bible. It had to do with requiring the retirement of priests. It’s so natural for a Pastor to love his job and church so much that he doesn’t plan for the day he’s not there. But it will happen. So we are spending loads and loads of time working on this and have been blessed to receive a high measure of corporate training on the matter. Getting to help churches through that process is a rare honor and one we are taking very seriously. 7. I see you announced some big news about a week ago. Tell me about it? What prompted the partnership? I’ve known Justin for about as long as I’ve been doing search and watched his company grow. He’s a great guy with a real gift. I’ve also noticed that he’s really good at mid-level searches, which were searches we weren’t really focused on. We talked for a while about referring searches to each other and then it dawned on us that it would be better to do this together. So now, we never have to tell a client “we can’t help you.” Whether it’s our traditional Senior and executive level searches or mid-level, we can help staff the Church. And we love getting to do that! Great stuff, guys. Thanks William (@wvanderbloemen) and Justin (@justinlathrop)! You can find them at www.vanderbloemensearch.com. It is true in great companies. It is also true in churches that do a great job of delivering on their God-given vision of ministry. Finding the right person is critical. But it is not easy. At its best, the hiring process can be a gamble. Therefore, one of the most important decisions is how to hire the right top level person and, at the same time, mitigate risk. What would be the best way to do that? 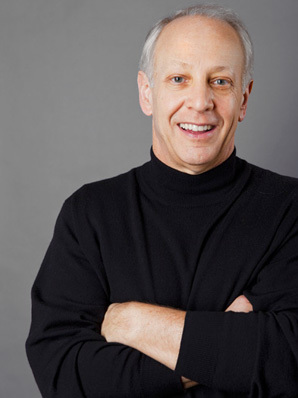 Hire an executive search firm. For church and ministry leaders, the preeminent executive search firm for church leaders is Vanderbloemen Search Group (VSG) — William, Tony, Carlos and Zach. The VSG team is uniquely geared to help churches and large parachurch ministries find the right senior leaders. They have a refined focus on ministry and bring the best practices and excellence of professional search to the church world. All of their team are actively engaged in church leadership work, giving them real time experience in the field. Whether for lead pastor, executive pastor, student pastor or any other key position on top level staff, these guys are top notch. I have watched as they have worked with some of my clients and other churches. Their professionalism is impressive. The level of confidentially is above reproach. It’s not just having the right person, but also the right fit. Their process will help you reduce the risk of the hiring equation.